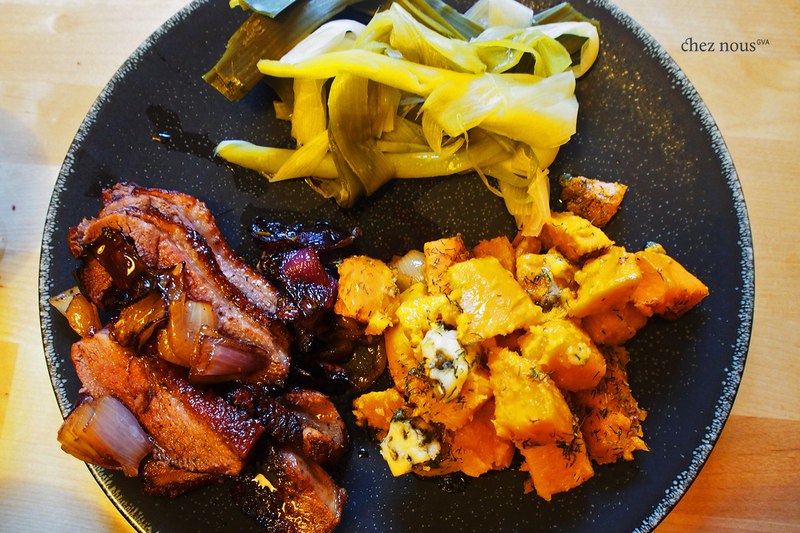 Duck duck sweet potato bleu duck. With a side of leeks. Have you ever had to work on a weekend, and actually felt relieved that you have so much to do? Well, surprisingly, this weekend, I am grateful to have a ton of work to do. A lot of worries and not being able to do anything to sort things out, I am completely in over my head, and having some semblance of distraction is very welcome. As for food, creativity escapes me as I was trying to squeeze every drop of it for two design jobs. Luckily, the partner took over the kitchen today making his oh-so-french dish, Canard cocotte. Trop bon! 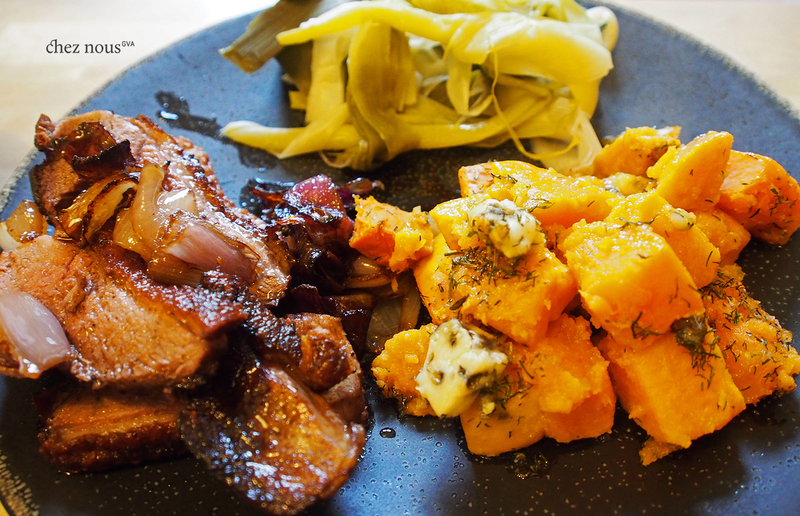 As he did his magic on the duck breast, I made some easy-peasy roasted sweet potato with Roquefort. 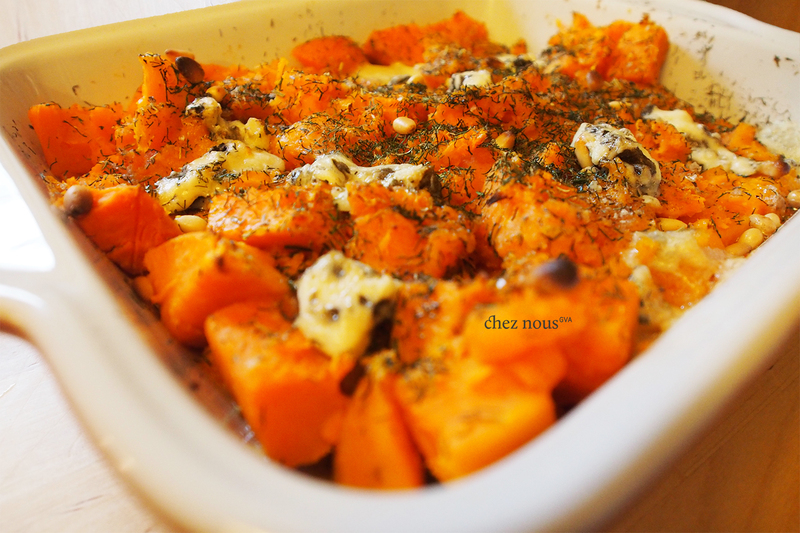 We love sweet potatoes chez nous. Apart from that sweet mush of a crop, it doesn’t take time to cook them. Boil, fry or roast, it only takes a few minutes, and voila, they’re tender and done. D usually makes checkered cuts on both sides of the duck breast. Season the breast with salt and pepper and let it absorb for 5 minutes or so. Pan-sear the breast, 6 minutes on each side. Make sure to cook the fatty side first so that it cooks in its yummy duck fat. Throw in the onion and shallots when cooking the second side. 6 minutes and Tada! 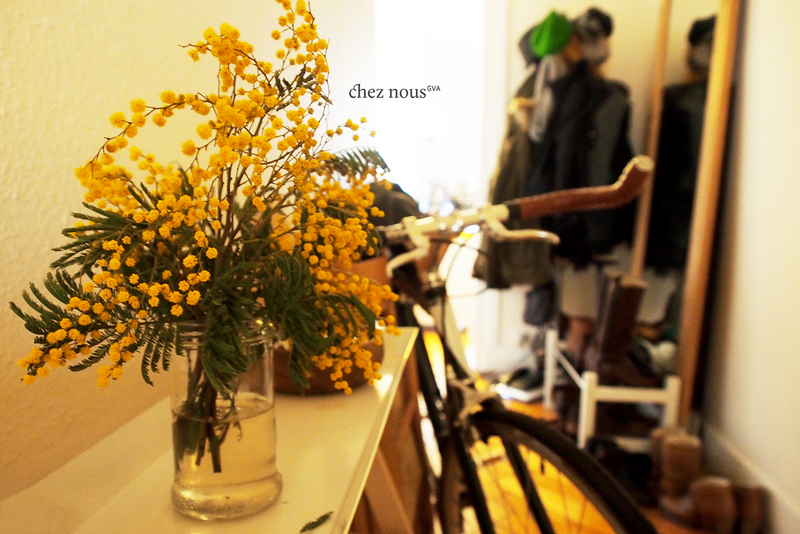 C’est cuit! We like it rosé normally, but this time around, we opted to leave it a bit longer in the cocotte. All up to how you like your duck done. Boil the sweet potato cubes in a pot of salted water. It will take about 10-15 minutes until they are soft. Drain the water. 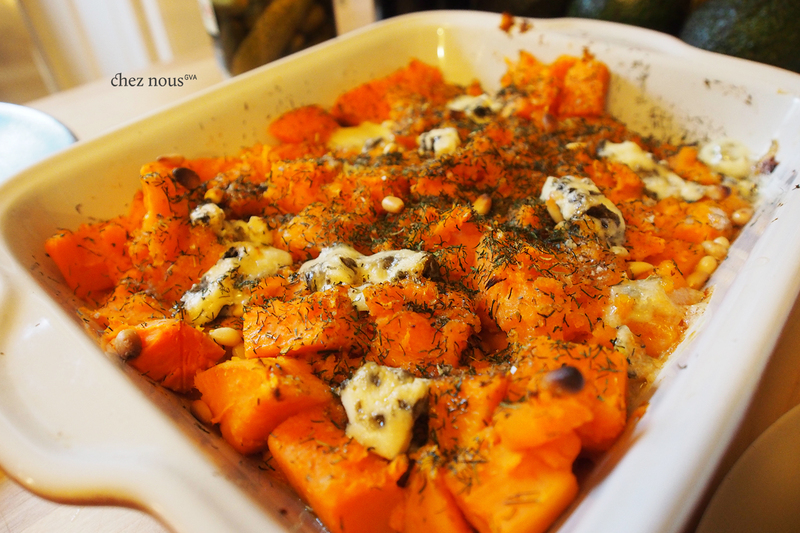 Pour the cooked sweet potatoes in a baking dish. Use a fork to mash the top roughly. 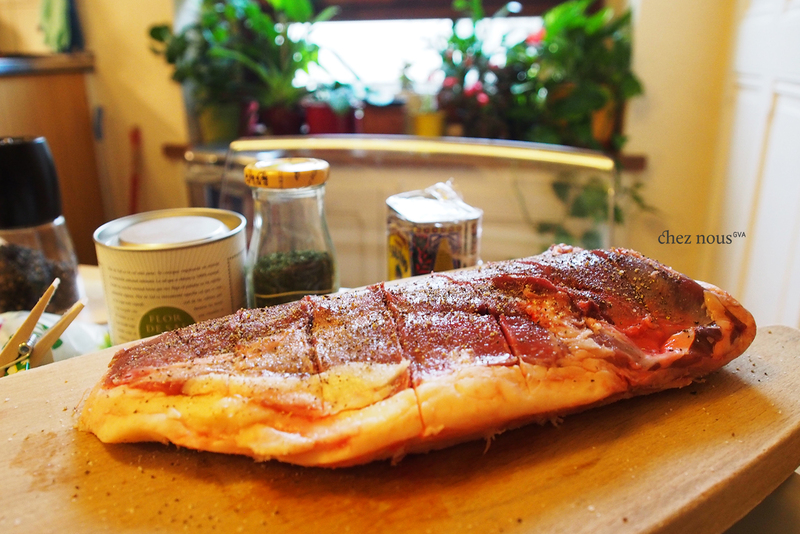 Crack some salt and pepper over it, dust with dried or fresh dill, drizzle some olive oil, and sprinkle with pine nuts. Crumble a slice or 2 of your bleu cheese over the dish. 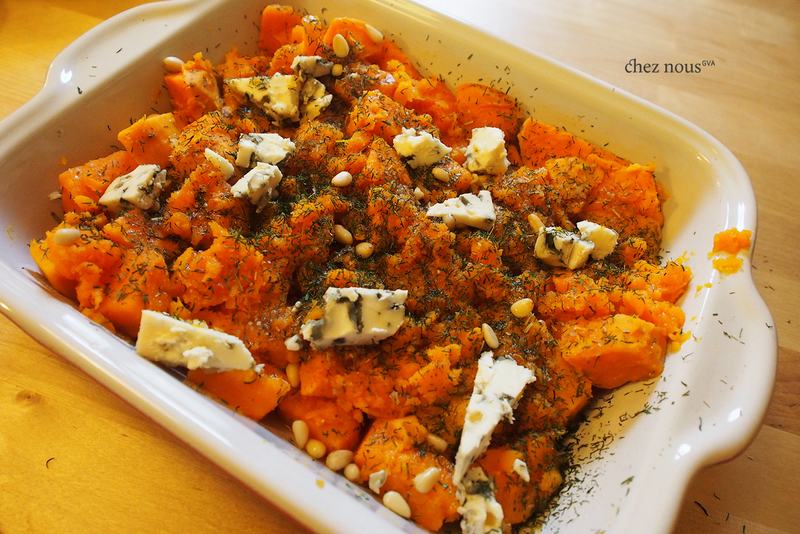 Leave to roast in the oven at 200°C for 8-10 minutes or until cheese melts and pine nuts are brown. Add some steamed leeks on the side, and you got a well-balanced meal.